Southwest Airlines makes it easier for you to bring Fluffy and Fido with you on your trip with its new pet policy. Southwest Airlines makes it easier for you to bring Fluffy and Fido with you on your trip with a new pet policy that began Wednesday, June 17. For $75 the "Freedom to Fly" policy allows passengers to bring small cats and dogs into the passenger cabin. The pets must be in a carrier that fits under the airplane seat, and the carrier will count as a carry-on bag. Another change, starting Wednesday there is a new $25 unaccompanied minor service charge. And all tickets must be non-stop or direct flights with no change of planes. In the past the airline absorbed the additional costs associated with flying minors alone. The fee for a third or overweight bag also changes on Wednesday. Instead of $25, the fee will be $50. 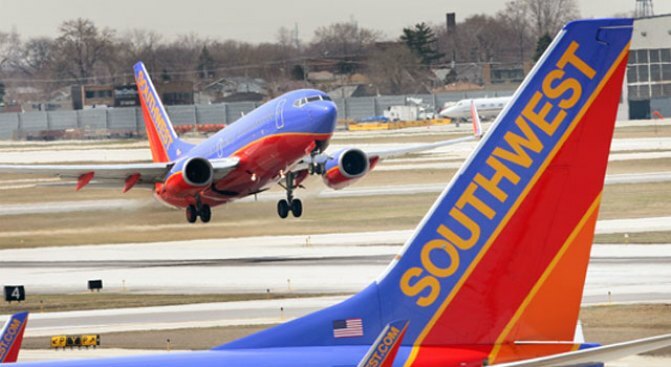 Southwest contends it is still one of the only airlines that allows customers to check their first two bags without a fee.